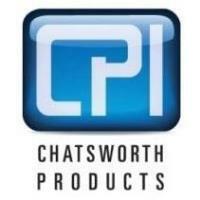 AGOURA HILLS, Calif., Feb. 7, 2019—Chatsworth Products (CPI), a global manufacturer of information and communications technology (ICT) infrastructure products and industrial enclosures, has acquired R. F. Mote Ltd., a privately-owned Canadian provider of data center racks, cabinets and enclosures. With the addition of R. F. Mote’s portfolio and installed base, CPI can further address its Canadian customer base by providing locally fabricated products. By adding Canadian manufacturing and assembly capabilities in the region, CPI will be better positioned to serve the market with shorter lead times. Additionally, CPI expects to realize increased opportunities for attachment of market-leading enclosure accessories such intelligent power monitoring and control, through its eConnect® Power Distribution Units and Electronic Access Control solutions. “The acquisition is in line with CPI’s continual growth and global expansion strategy, and we are thrilled to be combining forces with a management team that has such a long and proven history of excellence in the Canadian market,” says CPI CEO, Michael Custer. “We are very excited to bring our two great companies together and to have R. F. Mote become part of such a highly respected industry leader that is CPI,” says R.F. Mote President, Les Mote. Details of the deal were not disclosed, but effective immediately, R. F. Mote is a wholly owned subsidiary of CPI. Established in 1966, the Richmond Hill, Ontario, Canada, company focuses on products for the data center, telecommunications and colocation markets. Like CPI, R. F. Mote’s highly skilled and experienced workforce excels at delivering quick-turnaround, high-quality products. CPI’s branch and showroom in the Toronto suburb of Vaughan, Ontario, was opened in 2011 and quickly became one of the best local resources of product expertise, helping companies in the region successfully accomplish their ICT infrastructure projects. For more information on R.F. Mote, visit the website. For more information on CPI, visit the website. While every effort has been made to ensure the accuracy of all information, CPI does not accept liability for any errors or omissions and reserves the right to change information and descriptions of listed services and products. ©2019 Chatsworth Products, Inc. All rights reserved. Chatsworth Products, Clik-Nut, CPI, CPI Passive Cooling, eConnect, Evolution, GlobalFrame, MegaFrame, Motive, OnTrac, QuadraRack, RMR, Saf-T-Grip, SeismicFrame, SlimFrame, Secure Array, TeraFrame and Velocity are federally registered trademarks of Chatsworth Products. CUBE-iT, EuroFrame and Simply Efficient are trademarks of Chatsworth Products.